A must for anyone who finds themselves in the public eye both on stage and in life. Topics include: creating positive influence with personal style, power posture, reading body language and skills to communicate with poise. 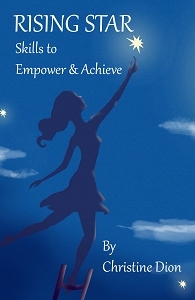 How to increase charisma, popularity, unlock potential with the right attitude and inner strength to excel. Skills in dealing with difficult people, challenges and developing maturity. Manners for social media, phone, at the studio, on the stage, in the theater, hotels, fine dining and formal events. Tools to work in the industry from pictures, posing, resume, audition tips and more! Copyright Mode Dion Cosmetics & Training. All Rights Reserved. eCommerce Software by 3dcart.